What is your breast cancer survival rate? The survival rate for breast cancer in the U.S. has improved over the last 50 years due to early detection, but twice as many women will acquire breast cancer today. Every three minutes a woman learns that she has breast cancer in the U.S.
One out of every eight women will get this deadly disease in their lives. In the U.S., almost 200,000 women will be diagnosed with invasive or in situ breast cancer each year. Worldwide, almost 1.5 million people will be diagnosed each year (CDC, ACS, WHO). In the U.S., approximately 41,000 women are expected to die from breast cancer each year. The personal toll is still great, not only for the patients, but for their families and loved ones. Every effort to prevent this catastrophic illness should receive serious consideration. We must consider ways to protect ourselves that are not only potentially effective, but also safe and practical. *One dramatic study showed that green tea tripled the breast cancer survival rate. At Nagoya University Medical School, Japan, researchers initiated breast cancer in rats. The animals were divided into groups that received no treatment or treatments of various antioxidants including green tea extract. When the experiment ended, there was 93.8% survival in the green tea extract group compared to only 33.3% survival in the control group that received no treatment. The survival rate for the groups with other antioxidants was between 70-80%. It’s important to understand that the breast cancer was so severe that every single animal developed breast cancer. But the green tea extract group had delayed onset, smaller tumors, and triple the breast cancer survival rate. One of the most promising areas of breast cancer research is with green tea health benefits. There are also new studies on green tea reducing breast cancer recurrence. Green tea is safe, inexpensive, and available throughout the world. While green tea has not been effective with some genetic breast cancer cell types, or with terminal Stage IV breast cancer, the most cautious estimates of daily green tea on human breast cancer show an average of 22% overall decrease in breast cancer, based on 5 cups daily for at least a year (Sun CL et al, Green tea, black tea and breast cancer risk: a meta-analysis of epidemiological studies, Carcinogenesis, July 2006, p 1310-1315). Early detection is the most important factor in the survival rate for breast cancer patients. The 5-year breast cancer survival rate for Stage 1 (Stage I) breast cancer is 98-100% after successful treatment. For Stage 2 (Stage IIa, IIb) breast cancer, it drops to 88-92%. Stage 3 (Stage IIIa, IIIb) breast cancer patients face a 5-year survival rate of 49-67% after successful treatment. And Stage 4 (Stage IV) breast cancer patients average 16-20% survival (American Cancer Society). Since all causes of breast cancer have not been identified or understood, your life may depend on regular exams from your licensed health care provider. We must also pay attention to reducing all risk factors in our lives if we want to improve our breast cancer survival rate. Other breast cancer risk factors that you can change include adding recommended examinations for early detection, adding daily exercise, quitting smoking, and restricting alcohol to less than one drink daily. Overweight is usually associated with increased risk of most cancers including breasts. Check with your doctor and start a weight loss program for you. 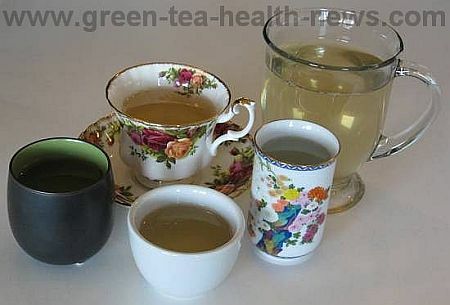 And of course, daily green tea can be an excellent and safe addition to a healthy diet for almost everyone.